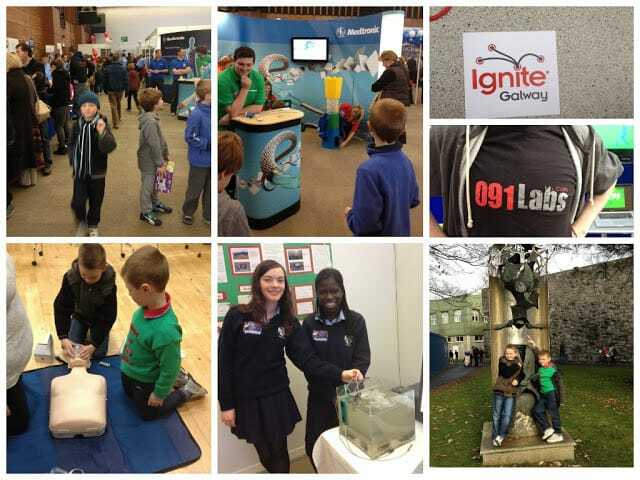 So this year we headed to the Galway Science fair again, and the kids loved it. Scoilroisdominicanns – Dominican School showed me their projects, one of them measuring water quality/polution by measuring the heartbeart of mussels ( see picture). A device was strapped to mussel that measured the heartbeat of the mussel and the opening of closing of its shell. They had another project where instructions were written down to draw a squirrel versus watching a video on how to draw a squirrel. They then showed the results of the pupils that drew a squirrel based on written instructions versus those that watched the video tutorial, and it was clear that those who watched the video tutorial produced a better looking squirrel than those that drew it based on written instructions. Safreeze: Helping consumers identify whether their frozen food is safe to consume or not. Safreeze is a dual-coloured ice cube that will form a single colour if frozen food is defrosted and refrozen. Therefore it will be clear to the consumer that the food is unsafe to consume. The last school – Milltown National School – showed me their Digital Heritage Archive Project of Milltown. The pupils got together with the community to document historic pictures and objects, and uploaded them onto Flickr. They won first prize in the Digital project last year. You can see the results of their project on Flickr. chosen topic. Entry is €5 and the enlightenment is free! We left around 2 o’clock when there was a sea of people, and decided to go for some food at the Bodkin Roundabout at the Tesco shopping centre. For those who haven’t been to Galway City in a while, be aware!! There has been a major transformation of the once “magic”roundabout. Galway has lot’s of roundabouts, and this one was particularly difficult to navigate. The new roundabout has lights, a lot more lanes, so if you are not sure what lane to choose, check out this image. I hope that next year we’ll remember to book our tickets via Eventbrite, there are a variety of sessions that are very popular and book out very fast! 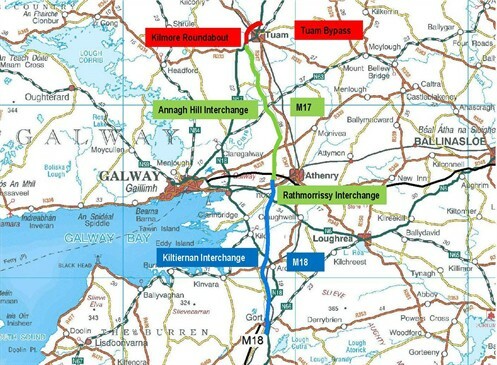 Follow the Galway Science Facebook page to keep up with developments! Have a nice remainder of the weekend!